Q-Connect A4 Desktop Copyholder 21126 Pack of 1 Q-Connect Desktop Easel Copyholder. 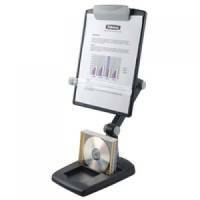 An economical and functional freestanding holder, allowing you to position copy anywhere. Features include a clip to hold pages firmly in place and folds flat for easy storage. Suitable for A4 size papers. 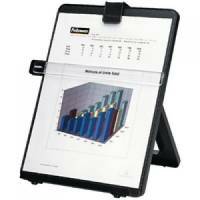 Kensington FlexClip Copyholder Black 62081 Pack of 1 Kensington FlexClip Copyholder Black 62081. Flexible gooseneck for easy positioning that suits you. 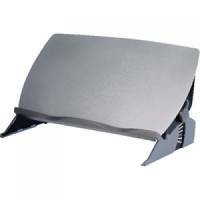 Clips onto laptops and TFT or CRT monitors. Compact and portable. 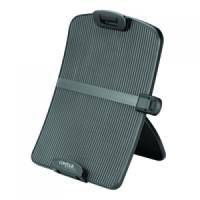 Holds documents in both portrait or landscape orientation. Fellowes Easy Glide Writing and Document Slope Grey 8210001 Pack of 1 Easy Glide Writing and Document Slope. 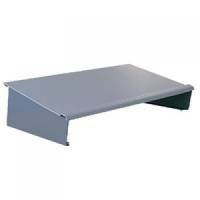 Contoured ledge supports books and paperwork up to 10kg. Adjustable angle 7.5-37.5 degrees. Removable accessory tray with charging cable manager. 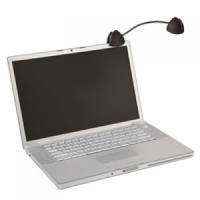 Works in conjunction with existing laptop and monitor systems. Grey. 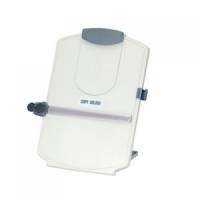 Fellowes Copyholder Stand A4 Dove Grey 20000 Pack of 1 Fellowes Document Holder 20000. 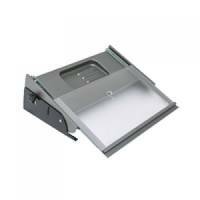 Compact document holder made from impact resistant plastic, suitable for desktop or portable use. Features 6 viewing angles for maximum comfort and fold flat storage. Accommodates A4 paper. 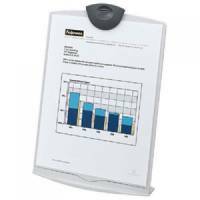 Fellowes Workstation Copyholder Easel Capacity 10mm With Line Guide A4 Black Pack of 1 Positions document at eye level reducing strain on neck muscles. Fellowes Flex Arm Weighted Base Copy Holder Graphite Pack of 1 Multipositional adjustment allows copy to be perfectly positioned minimises movement.